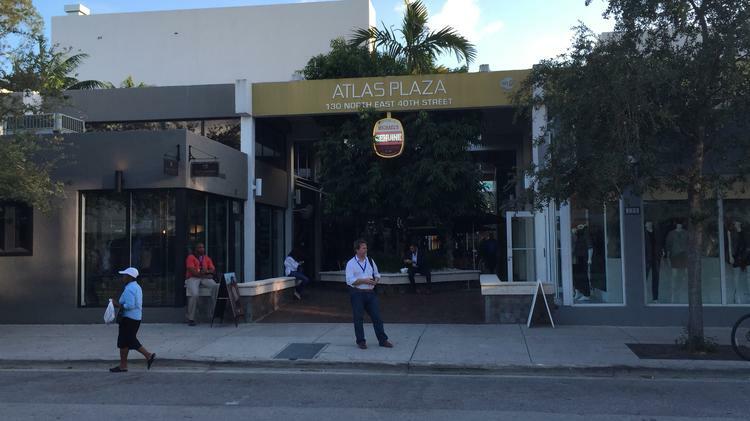 Atlas Plaza, the Miami Design District property that’s home to the popular Michael’s Genuine Food & Drink, was sold for $65 million to an affiliate of TriStar Capital and RFR Holdings. Buena Vista Design Plaza, Buena Vista Design Plaza II, and Magnolia Court LLC, all headed by Russell D. Atlas in Miami Beach, sold the property in three transactions to PB3940 Short Term and Palm Beach Holdings 3940, both affiliates of New York-based TriStar Capital headed by David Edelstein and RFR. Atlas Plaza at 130 N.E. 30th Street is 10,297 square feet on a 10,000-square-foot lot and was built in 1969. The deal included the 4,088-square-foot building behind it, which sits on a 4,700-square-foot lot with a passageway to 135/137 N.E. 39th Street. It last traded for $795,000 in 2000, but that was before the Design District was transformed into a luxury retail center by Dacra CEO Craig Robins. The neighboring building of 5,000 square feet at 114 N.E. 40th Street was recently completed. It last sold for $1 million in 2004. Attorneys Matthew Seth Sarelson, Rebecca Sarelson and Michael Denberg represented Atlas in the deal. Sarelson said there was no selling broker. RKF’s Benjamin Mandell, Drew Schaul and John Ellis represented the buyer. Lyle Chariff, of Chariff Realty Group, was listed as the leasing broker for Atlas Plaza and the neighboring building. Chariff couldn’t comment on the sale. He said the 5,000-square-foot building was vacant and only 500 square feet was still available for lease in Atlas Plaza. The asking rent was around $300 per square foot, he said. Tristar paid $3,353 per square foot for the three buildings. Chariff said many of the luxury tenants on Northeast 40th Street are in temporary spaces while Dacra completes their stores and once they leave new tenants will be brought in to activate the street. He said Atlas Plaza benefits from having a passageway leading behind it to Northeast 39th Street, another luxury strip. It also has a courtyard. In addition to Michael’s restaurant, tenants in Atlas Plaza include Rolex, Sebastien James Atelier, Longchamp, and Scotch & Soda. Roberto Coin will soon move into Atlas Plaza, TriStar said. TriStar and RFR are also major investors in property in Miami Beach and Wynwood.